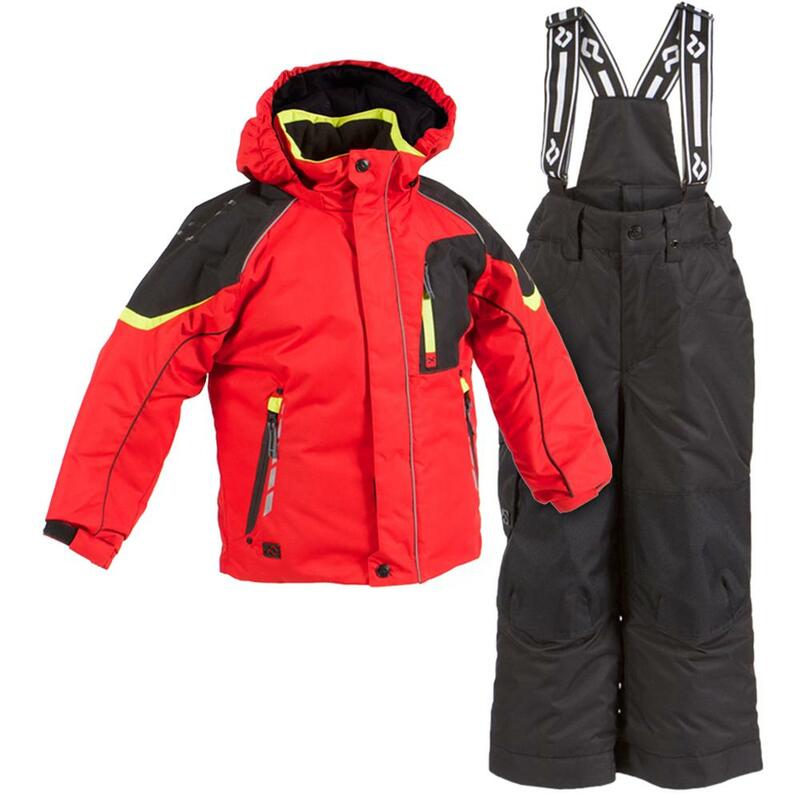 The Jupa Aleksander 2-Piece Ski Suit has the performance and durability you like, and it comes packed with the features and cool colors that matter to little boys. This suit is plenty waterproof, so he can spend hours out in the snow without getting wet. It's also extremely warm, with 170g of insulation. The Aleksander is adjustable at the waist and suspenders to ensure a proper fit. It comes with multiple pockets to load up with snacks and gear, a soft balaclava to keep his head and neck warm, and extendable cuffs that lengthen when he grows. "Hi, I measured my son for the suit and he comes out medium for the jacket. What size should I buy? Thanks"
"Based on him measuring to wear a Medium jacket we would recommend going with a size 7 for the ski suit. You can view the size chart here and look at the measurements for the pants as well to get a more accurate size guide." My son is always cold but not with this product. Coat and pants are very well made. Design for kids which is a plus. Keeps my son warm and dry for multiple hours of use. Absolutely must have! !